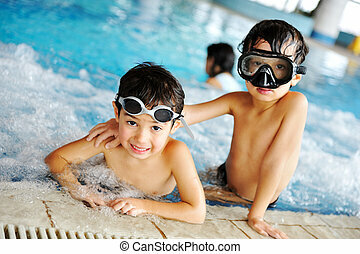 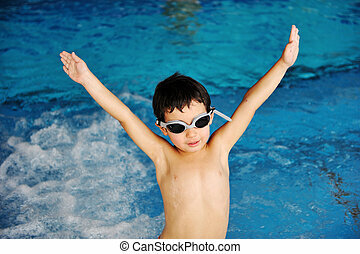 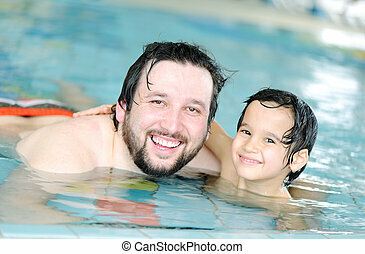 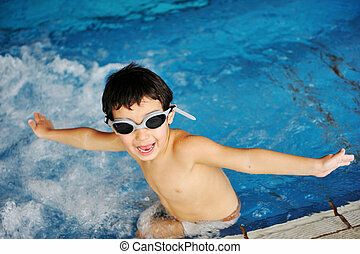 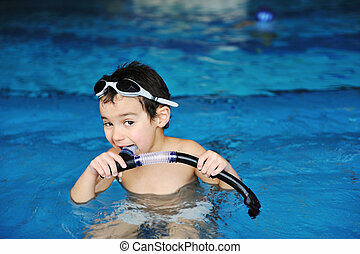 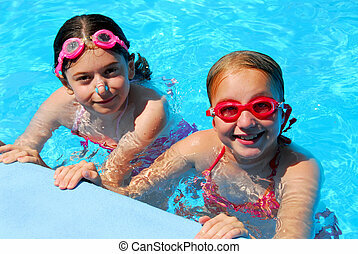 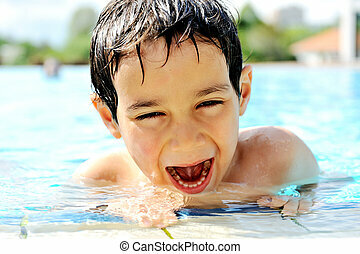 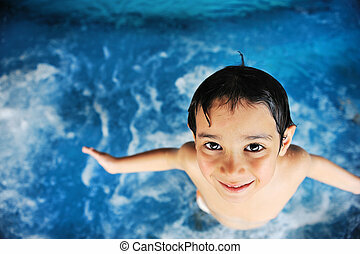 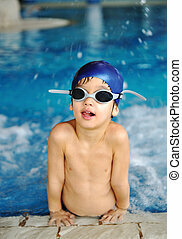 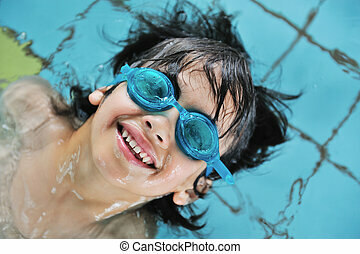 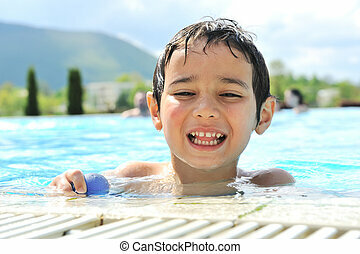 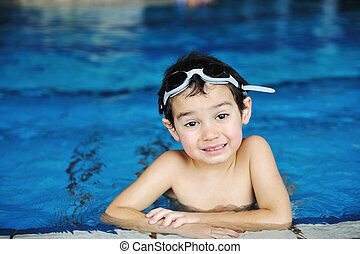 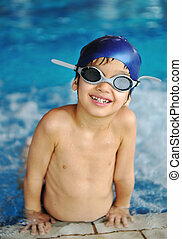 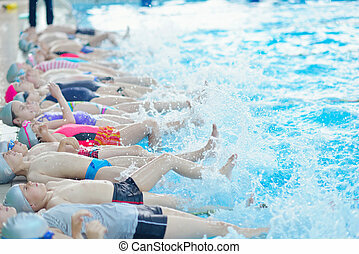 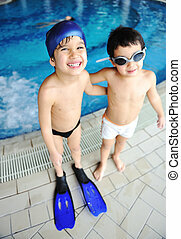 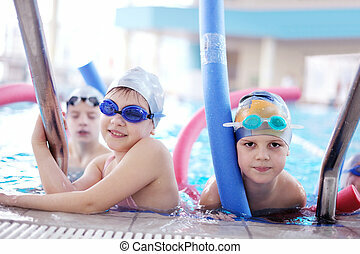 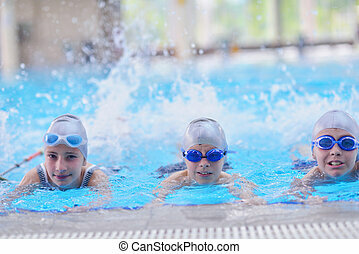 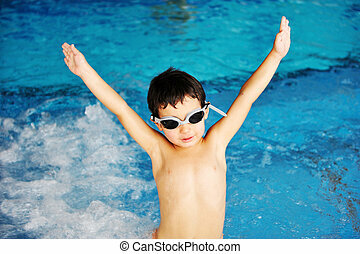 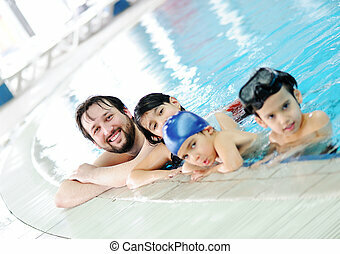 Activities on the pool, children swimming and playing in water, happiness and summertime. 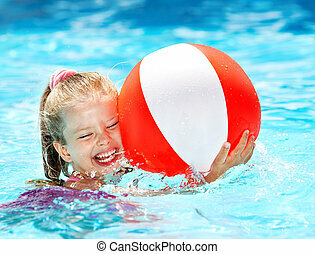 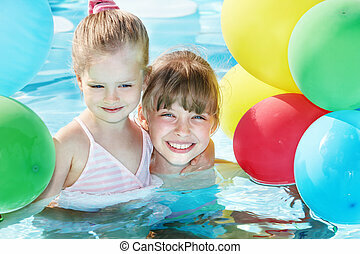 little girl playing with balloons in swimming pool. 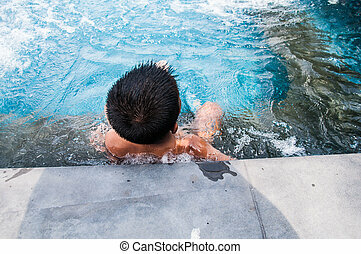 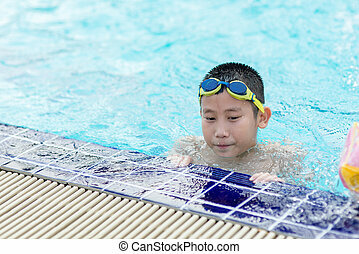 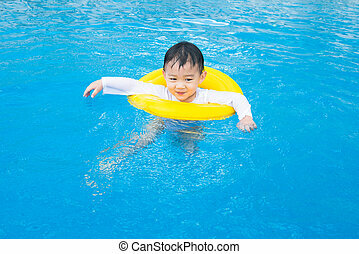 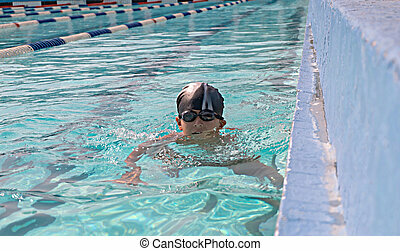 Little girl swimming in pool. 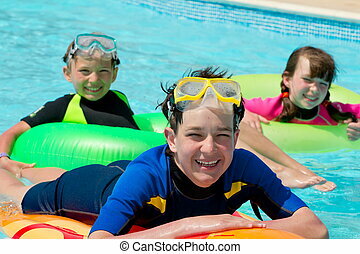 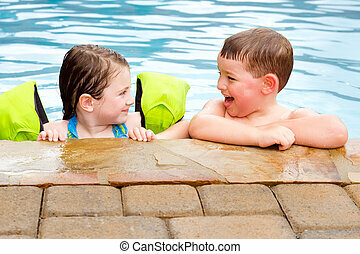 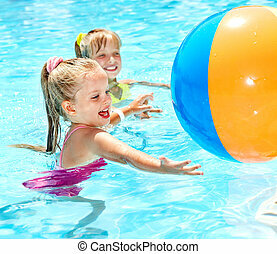 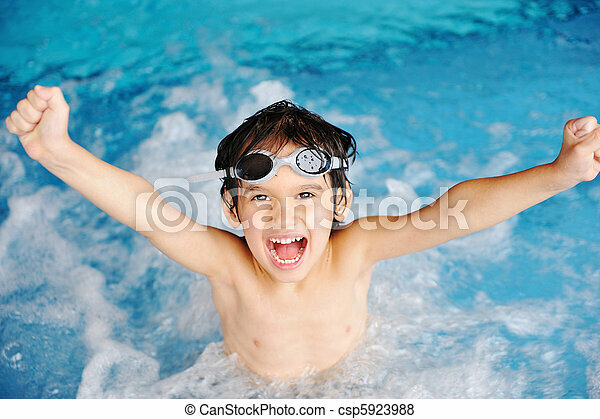 Three happy, smiling children on floats, playing in a swimming pool.